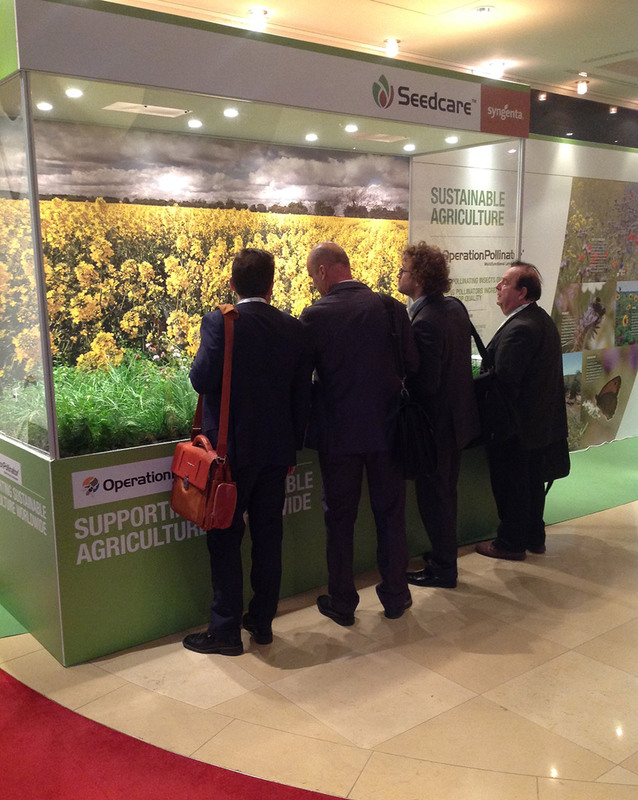 Building on the success of Syngenta AG’s exhibition stand at this year’s World Seed Congress, GQ adapted and refreshed the stand design for the European Seed Association event in Vienna, focusing on the company’s Operation Pollinator programme. Aimed at boosting pollinating insects on commercial farms, Operation Pollinator is an international programme to enhance biodiversity and sustainable agriculture. 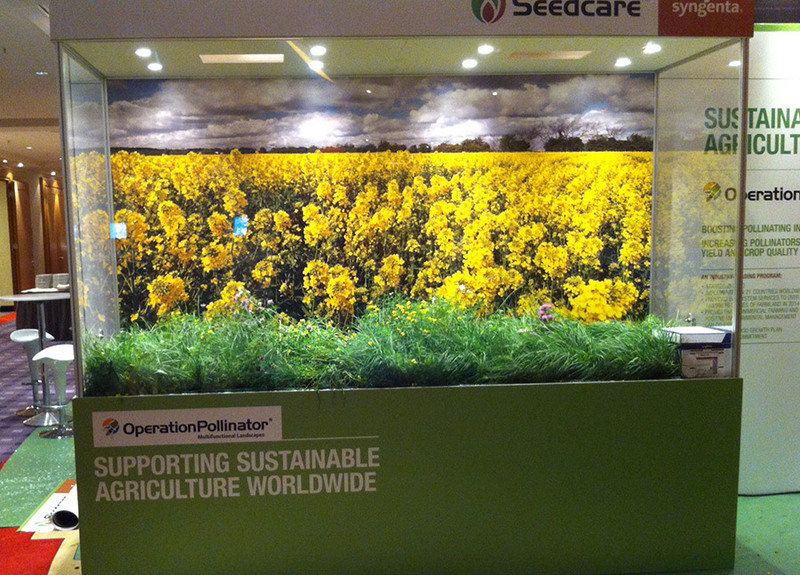 The stand featured bold, eye-catching imagery from habitats around the world, with a stunning three metre high live bee tower.